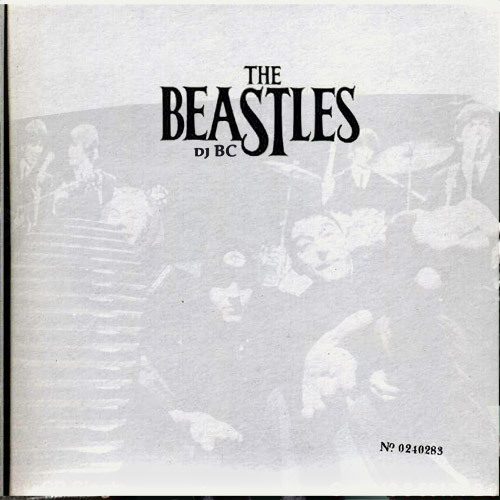 Totally FANTASTIC Beastie Boys / Beatles mashup album!!! w00t! Get it now before it is gone. Thank you Internet! Beastles cover art as a printable insert with track listing. Bigs thanks to my man Solcofn. These mash-ups were made for fun, and as a demonstration of my remixing abilities. The copyright to these source recordings is retained by the original copyright holder. By downloading these tracks you agree to delete them within 48 hours. If you object to these being posted online please email me at bob@djbc.net. This entry was posted on Tuesday, December 21st, 2004 at 11:54 am	and is filed under Cool Hunting, Mash Up / Bootleg, Media. You can follow any responses to this entry through the RSS 2.0 feed. You can leave a response, or trackback from your own site.